But the Senegalese has started Anfield life in simply electric form, and has easily been our most impressive performer of the season so far. Interestingly John Aldridge has noted that Mane’s start to life in a Liverpool shirt echoes Barnes’s. When we signed the Englishman back in the 1980s, the Kop was being repaired – so we had three games away from home at the beginning of the campaign. “Don’t get me wrong, I’m not saying Sadio Mane is the new John Barnes, but he is generating a similar kind of buzz,” Aldridge wrote in his column for the Echo. 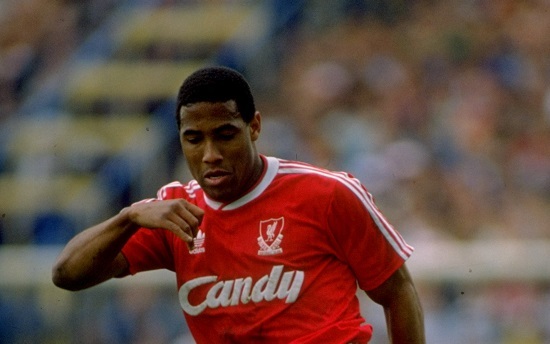 “Liverpool fans can’t wait to get their first glimpse of him at Anfield, just like in 1987 when John Barnes was signed. “Just like this season, we had to play our first three matches away from home because of repair work that needed to be done on the Kop. “Barnesy’s performances in those opening three games at Arsenal, Coventry and West Ham whetted the appetite for the home fans who couldn’t wait to see him in the flesh. Thankfully Mane has been passed fit following international duty and bar any further injury complications, will start from the right at home to the Premier League champions. We cannot wait to see the wing-wizard in action at our hallowed ground!